What do donors get for their money? MPR News host Kerri Miller and two campaign finance experts explore the dynamics of the current system. Listen to the discussion as they shine a light on a few ways that states and local governments are making their elections more open to small donors. Miller's guests said Donald Trump illustrates a problem with the current campaign finance system. They don't take issue with his self-financed run for president. Instead, they point to his approach to 'buying' influence as a business person. "I give to everybody when they call. I give and you know what? When I need something from them... I call them they are there for me," -- Donald Trump, on using campaign donations to advance his business interest (FOX News). Elections law scholar Trevor Potter said Trump fits squarely what Larry Lessig defines as 'the dependency system' where "public officials become dependent on their donors and, therefore, don't want to upset them." We have a system where "elected officials whose incentives are to spend their time thinking about those that can give the largest checks rather than what their constituents need -- it distorts public policy." said David Donnelly, President and CEO of Every Voice. "It distorts the kind of people who can run and it erects barriers between elected officials in the people they seek to represent." An aide of Richard Nixon's accepted a suitcase filled with $200,000 in cash from financier Robert Vesco in 1972. Vesco was hoping to get the Securities and Exchange Commission to stop a probe into his mutual funds. People were outraged. A moment of reform known as the Watergate scandal swept the nation. In the Supreme Court case, Buckley v Valeo the court "acknowledged that huge contributions come with strings -- that donors are expecting something and that the average member of the public is going to be suspicious of government at because they're going to fear it has been bought by large donors," said Potter. "Not only do large donations have the tendency to corrupt, but a system that exists on the large donations has a tendency to turn everyone else off," Potter added. Potter: "The Supreme Court's theory has been that outside groups won't corrupt and therefore can spend limited sums of money because they are wholly and totally independent of candidates. The reality is that almost all of these outside groups are run by former employees of the candidate, by relatives of candidate, or close friends who also are raising money directly for the candidate so they are in reality closely tied." 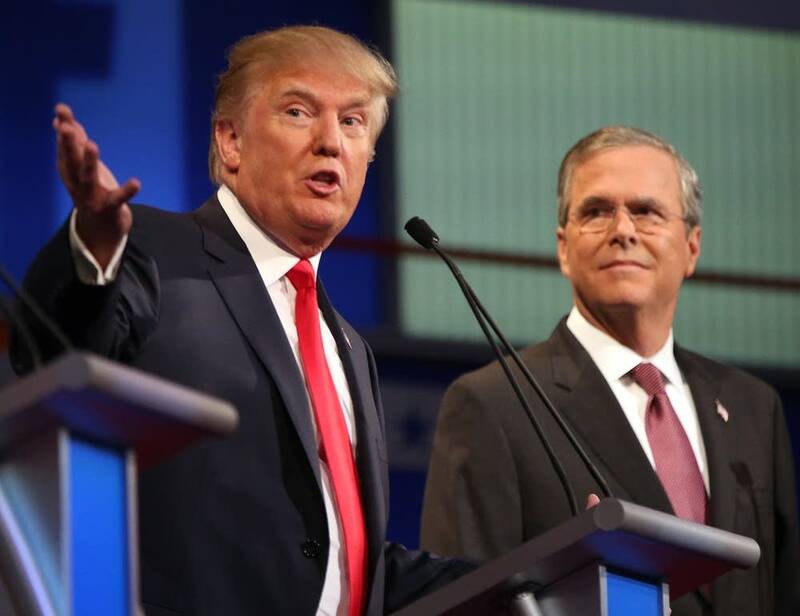 "The presidential candidates set up super PACs before they became a presidential candidate. So they're really their own creation run by their own people who were placed there by the candidates," Potter said. The Supreme Court's test "that they're wholly and totally independent of the candidates clearly is is not met."